Fiberglass ladders are fire-resistant, non-conductive and relatively lightweight. This makes them a smart choice for outdoor applications such as public utilities, construction sites, firefighting and manufacturing. After years of outdoor service, the long-term effect of sunlight takes a toll on fiberglass ladders. According to the Occupational Safety & Health Administration, exposure to sunlight accelerates a condition known as fiber bloom. 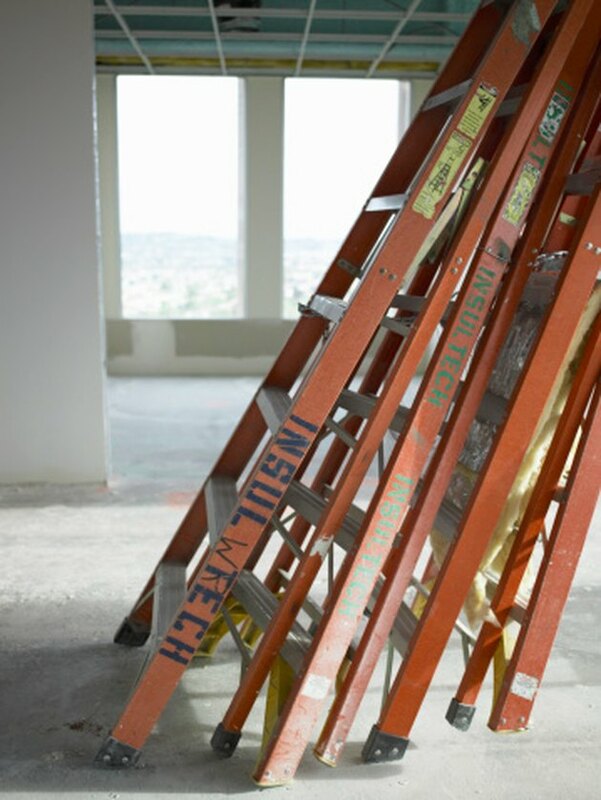 Fiberglass ladders require more maintenance than their wood and metal counterparts. Fiberglass is made by combining delicate glass fibers with plastic and resin. Fiber bloom occurs in fiberglass after years of outdoor service, which can affect ladders made from the material. 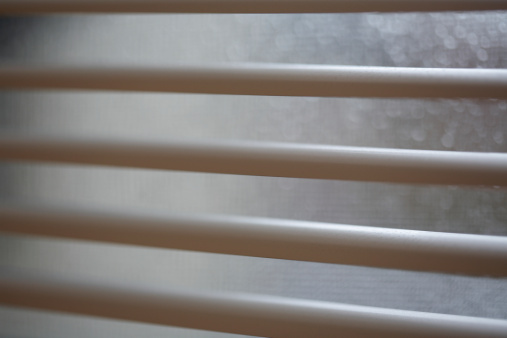 The sun's UV rays damage the fibrous properties of the ladder and expose the glass fibers. The condition is aesthetic and typically doesn't affect ladder strength. Fiber bloom can, though, cause discomfort during handling, and serious cases can impact a ladder's ability to remain non-conductive. To combat the slow degradation of fiberglass due to sun exposure, store fiberglass ladders indoors and out of extreme heat and wet weather. Prevent checking and surface weathering by taking care not to drop, scrape or rub the ladder against abrasive surfaces. Once the surface is compromised, fiber bloom can occur. Transport ladders horizontally on vehicle roof racks with pads or carpeting between the ladder and the rack. After each use, wipe the ladder clean to remove grease, oil, moisture, abrasives and chemicals from the ladder's surface. This not only prevents surface weathering, but also enables the ladder to remain non-conductive. Periodically wash the ladder to remove stubborn build-up. To combat the effects of sunlight on the ladder, periodically coat it with polyurethane, wax or acrylic paint. Match the type of ladder you need to the task at hand. Material construction of the ladder is as important as duty rating, ladder length and style. Wood ladders are inexpensive devices, well-suited for indoor applications, but prone to rot when exposed to moisture. Aluminum ladders are lightweight and durable, but they conduct electricity. Fiberglass ladders are weather resistant and won't rot or split. They are a smart choice for construction and heavy industry because they are non-conductive.